Update Monday, April 6, 2015: Bluesfest organisers confirmed on Saturday that American singer songwriter Trevor Hall has recently been hospitalised due to a serious infection. Original story: SOULSHINE is Michael Franti's latest music project. Bluesfest 2015 punters will have access to a one-off mass yoga session for one hour by Duncan Peak, pioneer of contemporary yoga and founder of Power Living Australia Yoga, a passionate yogi, philosopher, author and surfer. "Soulshine is a very playful yoga experience for all levels, even beginners, with a singing and dancing jam," he says. Franti explained that Soulshine started the yoga class, with an acoustic music background played by him and his guitar player Jay Bowman. "People who want to try yoga for the first time can come out and give it a go, but if you just want to listen to some acoustic music that's fine too." Franti is a big yoga enthusiast. "I've been practising yoga for the last 13 years now, and it has helped me in every aspect of my life," he says. "As the years go by and with the touring, my body takes a toll and holding a guitar is a very awkward way to stand, so yoga has helped me to be in better shape but also helped me to be more focused and more aware of complex situations in my life." After the class Franti, Trevor Hall and Soja play a full set each. Hall is an American singer, songwriter and guitarist. His music is a mix of reggae, acoustic rock and Sanskrit chanting. Soja is an American reggae and dub band. "We did the Soulshine Tour in America for the first time (last) year and it I'm very happy about the fact that Trevor Hall and Soja are also joining us in Australia," Franti says. 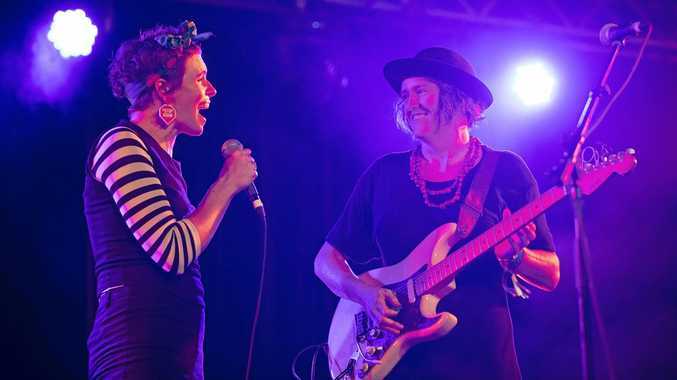 Soulshine will be part of Bluesfest 2015 and will be held on Easter Monday, April 6, at Tyagarah in Byron Bay. AMERICAN singer- songwriter Michael Franti is spreading "hope, healing and love through music". Besides the new album he's working on and touring his Soulshine festival, he has also launched the Do It For The Love Foundation in Australia. The global not-for-profit wish-granting foundation allows people who suffer life-threatening illnesses to attend a live concert and meet their music stars. "We find people in advanced stages of life-threatening illnesses, children with severe child abuse and wounded veterans to (send to) live concerts," Franti says. 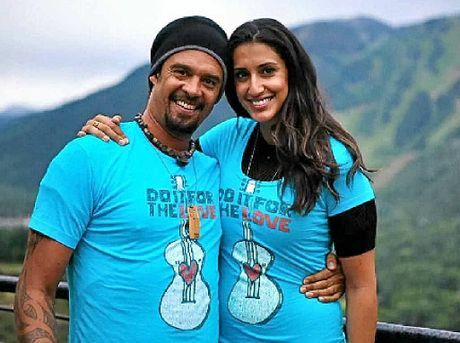 "Through the healing power of music, our goal is to inspire joy, hope and lasting celebratory memories in the face of severe illness or trauma," adds Franti's fiancée, Sara Agah. It started after the couple met a fan with motor neuron disease. That was the start of the Do It For The Love Foundation, which has allowed more than 250 families to attend concerts in America. Franti encourages Australians to support the foundation. "You can volunteer, host a local fundraiser spread the work and word of the foundation on Facebook and donate online."